House of Illustration, London, 26 March–13 May 2018. By Nicholas Bonner. Phaidon, £24.95. ‘Made In North Korea’ (House of Illustration, London, 26 March–13 May 2018) is a window into a strange and distant world. The overriding slogan ‘Keep North Korea Great’ resonates throughout, invoking a place in which marketing is meant not for profit but for the good of the people. The show’s imagery is reminiscent of 1950s Technicolor. 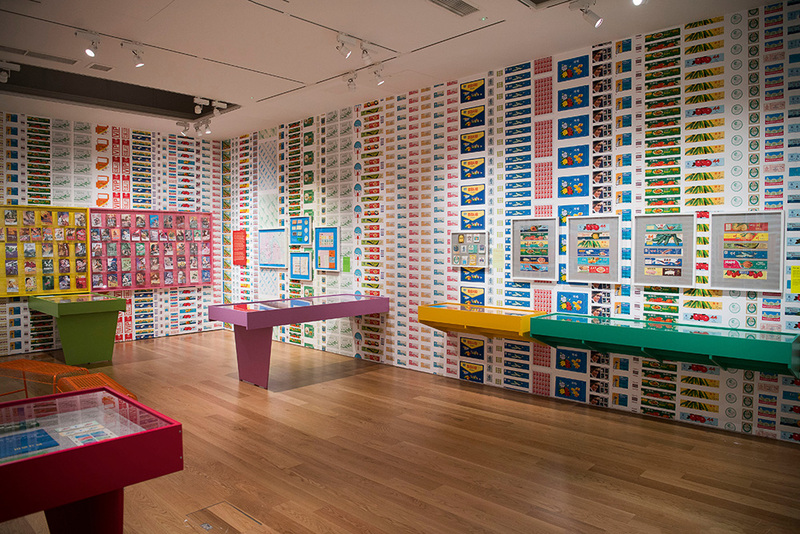 In Fraser Muggeridge’s exhibition design, every surface displays a glorious vision of a Communist Utopia: sumptuous coloured walls and furniture that displays brightly hued posters and painted advertising. 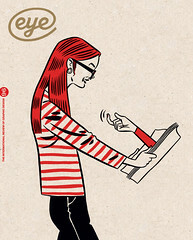 The work evokes a ‘Marxist Mad Men’ construct of perfect families and pearly smiles. This is how North Korea presented itself to its citizens until recently: the featured work was created by the North Korean state-controlled Industrial Art studios between 1993 and 2005. The person behind the collection, film producer Nicholas Bonner, has been travelling regularly to North Korea for more than twenty years. 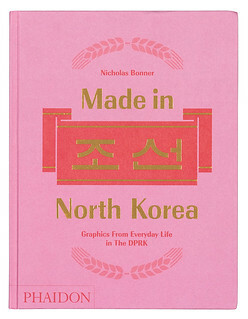 Like the exhibition, his book Made In North Korea (Phaidon, £24.95) is a remarkable gathering of printed ephemera. The work is refreshingly simple. Packaging informs the buyer what a thing is, or what it does. There is no competitive marketplace. Yet the work is appealing, and goes beyond mere utility, reflecting a pride in ‘Korean-ness’ and a North Korean doctrine of ‘Single-hearted unity’. Everyone is responsible for the nation’s strength, its infrastructure and its ideology. State slogans such as ‘Our Country is Best’ and ‘Nothing to Envy’ echo throughout. The material may feel a long way from the stories we hear of forced labour camps and starvation, of manic dictatorship and mass suppression, but that is its purpose, after all. Cover for Made In North Korea. Top: Photographed by Justin Piperger.